"Lew was such a gentleman! I remember those days at..."
"We will miss Lew greatly in the Maine State Society. He..."
"I will cherish the memories Uncle Lew! 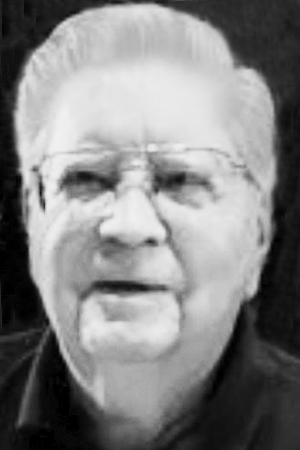 God has definitely..."
"Lew was a true gentleman, Mainer, and a genuinely well..."
FALLS CHURCH, Va. -- Lewis M. Pearson, 87, a resident of Falls Church, Va., died at a local hospice center on Nov. 29, 2018, of complications from the treatment of cancer. The eldest son of Leslie W. and Clithroe Pearson, he was born on May 5, 1931, in Biddeford, Maine. He graduated from Deering High School in Portland and the University of Maine at Orono. After serving on active duty in the Army, Lew continued to serve in the Army Reserve, retiring at the rank of Major. He had a long and successful career with the General Services Administration, working during the Reagan and Bush administrations as the Director of the Facilities Management Division for the White House and associated buildings, where he oversaw the renovation of the Eisenhower Executive Office Building. In his personal life, Lewis and his wife Marjorie "Marge" Coffin Pearson were very involved in the Washington Chapter of the Maine State Society, both serving a number of leadership posts and being awarded the Big "M" award for dedicated service to the Society. While with the Society, Lew and Marge were two of the original dozen volunteers to begin laying wreaths at Arlington National Cemetery around the Holidays. That event, now called "Wreaths Across America", draws thousands of people from around the country and lays wreaths at veteran's cemeteries around the world. Lewis was predeceased by his parents; his wife, his brothers Merton A. and Tristram W. and sister Apphia J. Pearson. He is survived by close long-time friend Jane Phillips of Seattle, Washi. ; numerous nieces and nephews; and many devoted friends. Family and friends are invited to a time of visitation on Saturday, Dec. 8, 2018, from 12:00 - 1:45 p.m., at Jones, Rich and Barnes Funeral Home, 199 Woodford St., Portland, Me 04103. He will be buried next to his wife at Evergreen Cemetery.